The search for the right individuals is the most important and difficult task for a company, and judging people based on shallow questions like “Can you tell me something about yourself?”, “What are your strengths and weaknesses?”, “What have you achieved in the past?” or “Where do you see yourself five years down the lane?” defy the sole purpose of building great teams. Calling candidates for interviews and asking cliché questions won’t help any organization build a great team. Is it possible to evaluate people on these random questions? Zamstars has always prided on doing things differently. In a world where ’skill’ is commoditized, and a candidate’s capability to be a right fit in the team is generalized by a stereotypical “Interview Process”, ‘ZAManzee’ focused on breaking typical recruitment and interview clichés. 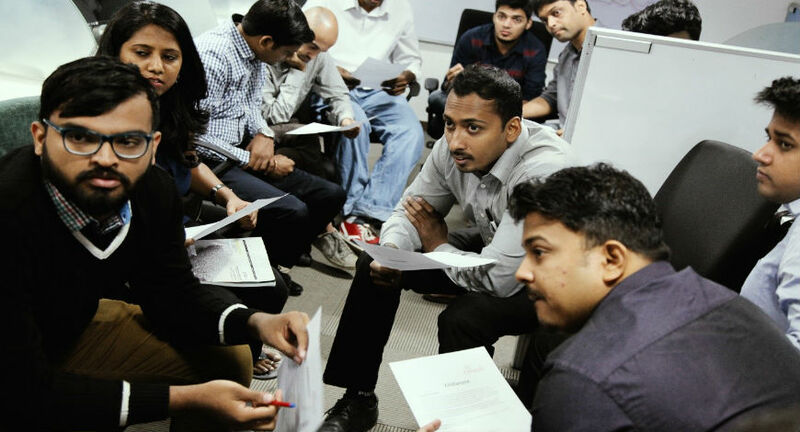 The event was held in the Koramangala office (Bengaluru) of Zamstars on 27th May 2017, where fifteen unrelated individuals from Marketing, Branding and Sales functions were given a real case study to read, analyse, plan and present, the day-long activity showed more enthusiasm and zeal among the candidates to prove their mettle. Human capital is the core asset of any organization falling under the services sector. The event was organized to find candidates with a Zeal to Achieve More. More than the degree of skill, Zamstars was looking for individuals with the right Attitude, Aptitude, and Altitude that define success. They had Digital Marketers, Designers, Sales Managers and Content Writers turn up for the event. We asked them to make two teams with a captain for each team. Their task was simple- to understand the brief, discuss the case study and present their pitch to us at the end of the session. It was extremely delightful to see the candidates take to this format with grace and zeal. Everyone had their point of view on the exercise and wanted to showcase their mettle. There was stupendous energy exhibited by every one of them. “It wasn’t an evaluation of Right or Wrong, it was an evaluation of the right attitude. I was extremely delightful to see the candidates take this format with grace and zeal. 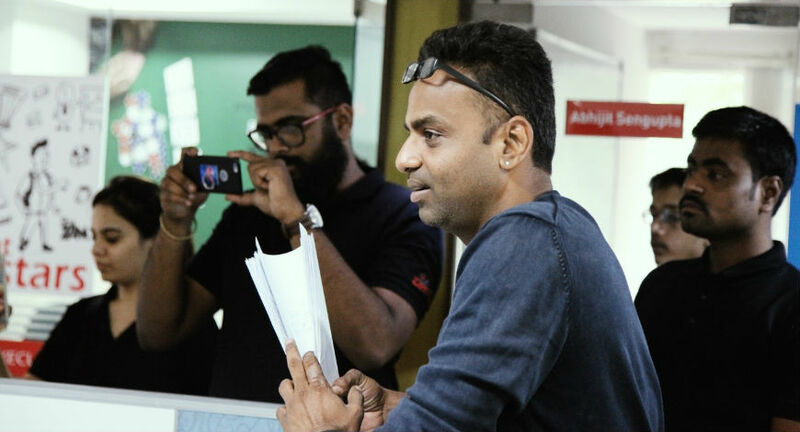 There was stupendous energy exhibited by every one of them”, adds Sivaram Kuppachi, CEO of Zamstars. Every candidate was excited and commented that they loved ‘ZAManzee’ as it broke cliché of typical interviews and boring questions. Some even said they had prepared perfect answers to ‘expected’ questions. We weren’t evaluating people who knew their jobs. The Zeal to Achieve More was evident, which is needed to deploy skills.